The two Chief Ministers have been hurling darts at each other ever since news emerged about Yogi Adityanath's travel to Kerala. 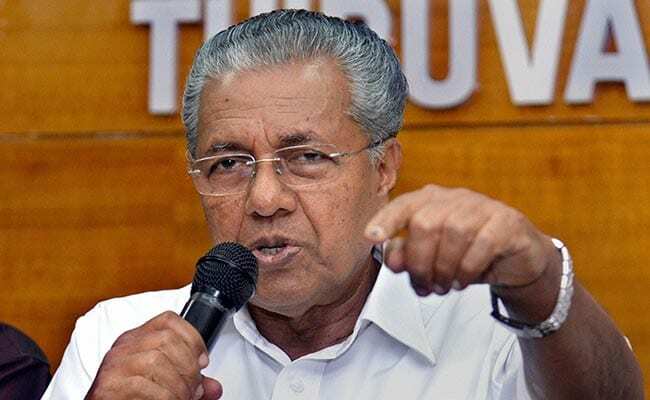 Thiruvananthapuram: Pinarayi Vijayan, the Kerala Chief Minister who has faced umpteen attacks from the BJP this week trying to make inroads into the state, has given it back to its star campaigner, Yogi Adityanath. In a stinging takedown of the Uttar Pradesh Chief Minister, Mr Vijayan said he found it amusing that Yogi Adityanath had found time for Kerala despite the many "problems" that his state was facing. The Kerala Chief Minister also reminded him about Uttar Pradesh's track record in health. Uttar Pradesh's infant mortality rate - deaths for every 1,000 babies before they celebrate their first birthday - was 43, as compared to 10 in Kerala and a national average of 34, Mr Vijayan said in a Facebook post aimed at Yogi Adityanath, the Hindutva mascot selected by the BJP for its heavy-duty Jan Raksha yatra to highlight what the BJP has called the ruling CPM's "murder politics" targeting BJP workers. "It really amuses me that you (Yogi Adityanath) found time for Kerala, despite the fact that a large number of problems exist in UP as per newspaper reports," Mr Vijayan said. "But dear I am sure this break, (beautiful and happy trip) would help you to get rejuvenated for facing various issues in UP," he said. The yatra against political killings is part of BJP president Amit Shah's mission to establish the presence of BJP in states where it had never held power ahead of the 2019 general elections. He had launched the BJP's Jan Raksha (Protect the people) yatra on Tuesday from Kannur, the home base of Kerala Chief Minister Pinarayi Vijayan that is notorious for political clashes. Yogi Adityanath had kept up the pressure on the ruling CPM government on Wednesday, walking around 13 km through the town and launch a blistering attack on the state government for what he called was an environment of "jihadi terror" and "dangerous trend of love jihad". The Chief Minister of India's most populous state also earlier blamed Chief Minister Vijayan for the 300 deaths in the state due to dengue and hundreds more due to chikungunya. "This shows the CPM government is not handling its responsibility," Yogi Adityanath had told NDTV yesterday, his rejoinder to the invite from the ruling CPM to visit "Kerala hospitals to learn how to run hospitals effectively". The reference was to the death of many children at a hospital in August this year in the UP chief minister's home town Gorakhpur, some allegedly because oxygen ran out.